Max Brooks’ 2006 book World War Z presented “an oral history of the zombie war” through an epistolary collection of eyewitness testimonials, each told to an unnamed United Nations investigator, and each an isolated account adding to the larger picture of a global pandemic. It was a fascinating, heavily-researched log of human fear, religious paranoia, environmental consequences, and geopolitical corruption. When Brad Pitt’s production company Plan B Entertainment won the heavily publicized bidding war for the film rights, in an effort to simplify and commercialize Brooks’ sweeping approach, they turned the story into a one-man-saves-the-world tale, with Pitt as the resident hero. Directed by Marc Forster and written by a small army of screenwriters, the film World War Z had a long, unfocused, and mega-budgeted road to the screen, resulting in a product that feels truncated and neutered for mass audience appeal. 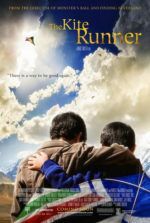 Though it contains a few impressive set-pieces and some engaging individual sequences, the overall effect is flat and unmemorable, and in the end, doesn’t make the viewer forget the ache of what could have been. Development began in 2008 with a politicized screenplay by J. Michael Straczynski (Thor), who reformatted the story into one about Pitt’s UN investigator Gerry Lane searching for the zombie plague’s Patient Zero. A rewrite by Matthew Michael Carnahan (State of Play) developed Gerry’s family man sensibility and removed many of the more political undertones. Shooting began without a completed script, and the film was originally set for release in December 2012. The release was delayed by six months for reshoots after the producers discovered that the first cut’s ending “didn’t make sense”. Additions conceived by Damon Lindelof (Prometheus) and written by Drew Goddard (Cabin in the Woods) attempted to fix the senseless climactic battle in Russia (shots from which are shown during the finished film’s epilogue) by completely re-conceptualizing the final 30 minutes into a small-scale research center in Cardiff. Reshoots increased the budget from $125 million to north of $200 million. 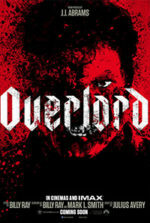 Along with removing hints that the zombie outbreak began in China, so as not to offend Chinese moviegoers, the final film went from being something potentially unique and political to a dumbed-down product tailored for mass consumption. The film opens in Philadelphia with Gerry and family, wife Karin (The Killing’s Mireille Enos, grossly underused) and two daughters (Abigail Hargrove and Sterling Jerins), experiencing the zombie outbreak first-hand. Before long, Gerry’s former UN colleague Thierry (Fana Mokoena) offers to rescue his family, but only if Gerry helps investigate the source of the outbreak. At first, Gerry refuses, except soon the fleet-footed zombies have infested everything and he has no choice. Safe aboard an offshore aircraft carrier he’s given an ultimatum: either help the UN investigate the source of the zombies, or his family will be returned to the overrun mainland. Gerry reluctantly agrees and leaves his family safe on the carrier, while he’s sent out to South Korea with a Navy SEAL team and a young virologist to explore the earliest reports of the epidemic. His investigation leads him to Jerusalem and eventually Cardiff, each locale teeming with thousands of chompy undead. The zombies of World War Z are an unscary bunch, more annoying than terrifying. They move fast, sprinting like the rage-infected samples from 28 Days Later and 28 Weeks Later, and less like Brooks wrote them—slogging specimens likened to George A. Romero’s undead films. Expositional dialogue tells us these creatures have no working circulatory system and might be afflicted with some kind of advanced strain of rabies (think Quarantine), but the exact details are unclear. The results are teeth-chattering, spidery movements, and an absurd zombie howl that sounds like a toad gasping for air. Aside from a few gotcha! jolts, these zombies aren’t genuinely frightening and instead are used to perpetuate the notion of an advanced disease that uses humans as mindless carriers. 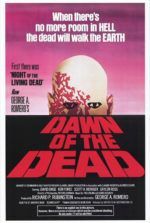 The zombies move in swarms and pile upon one another like ants, a simile visually referenced by cutaways to various insect species in the opening title sequence. How a pathogen controls a whole population to suddenly behave as though they’re part of an insect hive is never fully explained, which removes our understanding of the global situation and reduces the experience down to a tense survival story. On those terms—just following Pitt from place to place as he narrowly (and even miraculously) survives—the movie proves entertaining and somewhat absorbing. Pitt doesn’t stretch his talent here and delivers an “everyman” performance that falls in line with the movie’s “what happens to an average family during the zombie apocalypse” scenario. He’s plain as can be, though, rarely showing much genuine terror over the situation. His expressions seem muted and dull; even when sprinting away from undead pursuers he doesn’t seem to be firing on all cylinders. Now 50, the actor could just be slowing down. But maybe it’s the sign of an actor who also happens to be a wary producer, perhaps frustrated with an over-budget, unfocused production, and an ever-incomplete script. This is just speculation, of course. Whatever the cause, Pitt looks unengaged, and therefore our response is tantamount. Also present are James Badge Dale as a tough Special Forces soldier, David Morse as a whacked CIA operative, and a distractingly brief appearance by Matthew Fox (clearly his role was meant to be bigger but ended up on the cutting room floor). Also distracting: Forster’s hand-held cameras (returning after their ruinous use on Quantum of Solace), and his editors who have used surgical precision to remove any bloodshed from the proceedings—all to secure a PG-13 rating. In one sequence, Gerry lodges a crowbar into a zombie’s head off-screen; the shot consists of Pitt yanking on something out of frame. The viewer knows he’s trying to remove the crowbar from the zombie’s skull, but seeing the image would have added a much-needed eww factor. There’s a certain visceral, bloody element missing from World War Z that zombie fans, especially those versed in AMC’s gore-heavy The Walking Dead, will miss. Granted, the story wants to be something more than a standard horror yarn, but the filmmakers have effectively removed all traces of the political subtext that would have elevated the material. So why not just embrace what they’ve reduced the film to? The answer is simple: They’ve spent too much money, and an R-rated release won’t likely earn back the $200 million spent. Alas, viewers may have to wait for a hopeful “extended and unrated cut” on disc before they see a version that’s either wholly political or horrifying. Great book-to-film adaptations should set themselves apart from their source material. World War Z is not like the book, but Forster and Pitt consign themselves to such standardized blandness that the viewer cannot help but mull over the untapped possibilities. Of course, a movie reviewer should not review what might have been, and this two-and-a-half star label doesn’t reflect the film’s lost possibilities. It reflects the undeniable quality that the filmmakers had no clear vision from the start. Put aside the sordid production history and World War Z is a film with merits, but not enough to outweigh its evident downfalls. Foster’s reliance on shaky-cam action and a sequence where Gerry realizes a crucial detail via flashbacks to something that just happened are inelegant. The same goes for the epilogue, complete with clumsy voiceover by Pitt, who seems intent on establishing the possibility of a sequel. Overall, throwing money at the problem didn’t fix what wasn’t working, and the ongoing patchwork was anything but seamless. 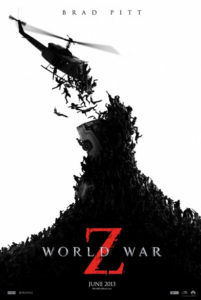 Genre fans may find redeemable qualities within, but even to the untrained eye, it’s apparent that World War Z was a troubled production and has suffered for it.